Kronite mod is a gradually developing mod focused on ores and those things that are obtained when crafting. 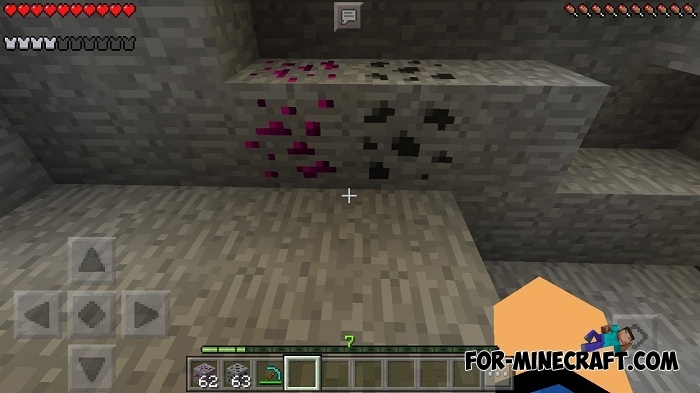 This mod is built on the Inner Core engine and has several distinctive features that are not in MCPE addons. For example, new things do not replace anything and have a special list of properties. This version pays much attention to a new ore called kronite. It is generated deep underground, but sometimes it happens that ore can be seen at a depth of 5 blocks. Kronite is the basis for durable tools and weapons and has a pink red color. Find a new ore and remelt it into ingots and then craft new things. If you want more then add Overcraft mod both mods do not conflict and can work simultaneously. How to install the Kronite mod?